Toshiba Digital Products Division has let loose a flurry of new Satellite notebook computers, with models designed to meet a number of different customer needs, from digital entertainment hubs to slim and portable to budget-friendly performers. The company has also updated the look of the Satellite line, with entertainment models featuring a new Fusion X2 durable textured surface, raised-tile keyboards, and sizable multitouch trackpads. And all of them are due to land at retails June 20. The new Toshiba Satellite A665 and Satellite M645 aim to be entertainment powerhouses, and sport a new Sleep-and-Music feature that enables user to use the notebook’s premium harmon/kardon sound systems as a speaker system even when the computers are powered down: just pop an audio source like an MP3 player into the mic input, and you’re good to go. 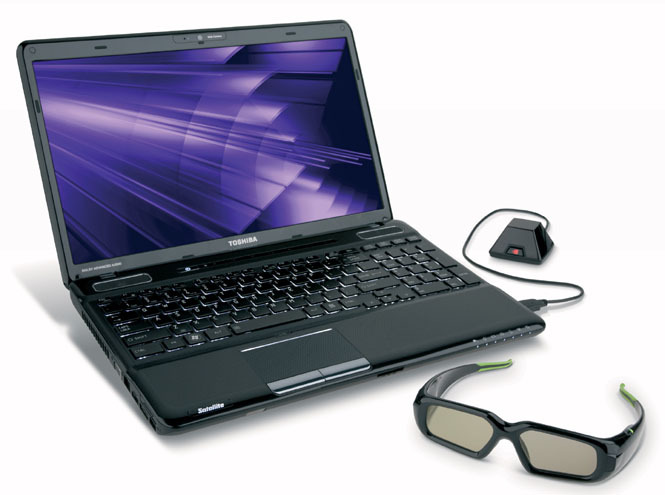 Toshiba is also bundling DVD upconversion into its DVD Player software so standard-definition DVDs look more like HD on the notebooks’ displays. The systems will be available with Intel Core i3, i5, and i7 processors as well and AMD Phenom II Quad Core chips; they’ll also be available with Nvidia GeForce 310M or GT330M graphics (with Optimus technology to use power-sipping integrated graphics). Prices will start at $799.99 for the A665 and $729.99 for the M645; both should be available starting June 20. Not good enough? Toshiba is also launching a Satellite A665 3D Edition with a 15.6-inch, 120 MHz refresh rate display, Blu-ray drive, Nvidia 3D Vision technology (including a sync emitter and shutter glasses), and an Intel Core i7 processor. The 3D edition will sport Nvidia GTS 350M graphics with 1 GB of video memory, along with a spiffy harmon-kardon speaker system. The notebook is designed not only to appeal to folks hooking themselves on 3D entertainment, but also to gamers who want to tap into 3D gaming content. The 3D edition will cost a little extra when it goes on sale June 20: prices start at $1,599.99, and you still have to figure out a way to carry around that emitter and those goggles. Toshiba is also introducing the new Satellite T200 series of slim notebooks, which will sport Toshiba’s new Fusion Chrome fiunish. 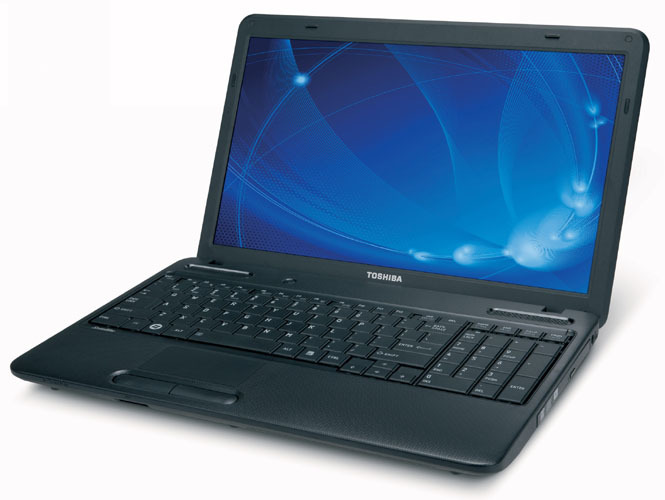 The Satellite T215 features a 11.6-inch display, an AMD Athlon II Neo single or dual-core processor, up to 320 GB of hard drive storage, and 2GB of RAM. 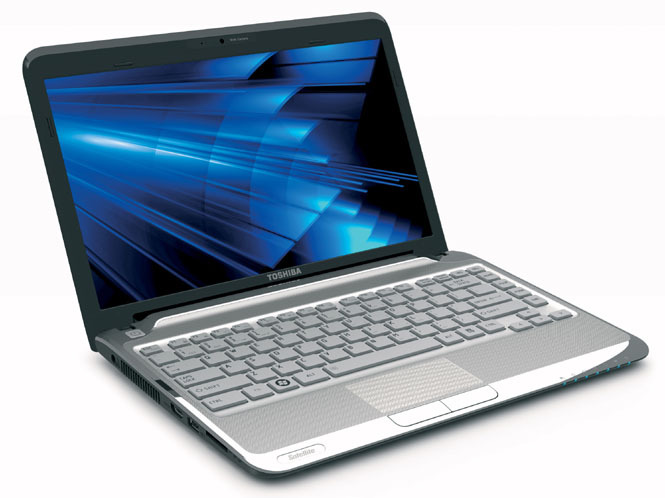 The Satellite T235 steps up to a 13.3-inch display, a choice of AMD Athlon II Neo or ULV Intel Pentium dual-core processors, a 320 GB hard drive, and up to 4 GB of RAM. The new T200s feature HDMI output and integrated webcams; they’ll go on sale June 20 with prices starting at $469.99. 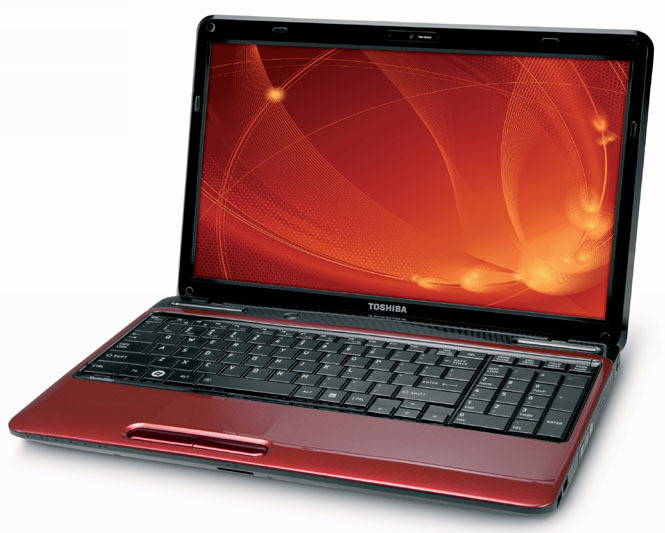 Toshiba is also refreshing its L-series of value notebooks, with the Satellite L635, L645, L655, and L675. The main distinction between the models is screen size: the L635 features a 13-inch display, the L640 moves to a 14-inch display, the L655 offers a 15.6-inch display, and the L675 jumps to a 17.30-inch display. All the notebooks sport DVD drives, up to 4 GB of RAM, 250 to 500 GB of hard drive storage, and Toshiba’s Fusion finish in a range of colors. Customers will be able to choose between a selection of AMD Athlon II, Turion II, and Phenom II triple- and quad-core processors, as well as Intel Core i3 and Core i5 CPUs. The L655 and L675 also feature 10-key keypads. The new L-series will land at retailers June 20; the L635 starts at $619.99, which actually makes it the most expensive of the bunch. The L645 starts at $515.99, the L655 starts at $569.99, and the L675 starts at $599.99. Last but not least, Toshiba is also clocking in updates to its Satellite C-series, with the Satellite C640 sporting a 14-inch display and the Satellite C650 jumping up to a 15.6-inch display—both support 720p high-definition content. The systems will offer DVD SuperMulti drives, 802.11n Wi-Fi, multitouch trackpads, and a choice of Intel or AMD processors—the C650 also sports a 10-key keypad. The Satellite C600s should launch June 20 alongside the rest of Toshiba’s new notebooks, with prices starting at $449.99.